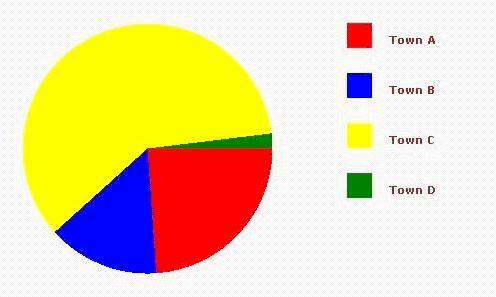 Graphs and charts are important tools for the analysis of data. In this tutorial, we will look at how to represent data in terms of a bar chart and pie chart. 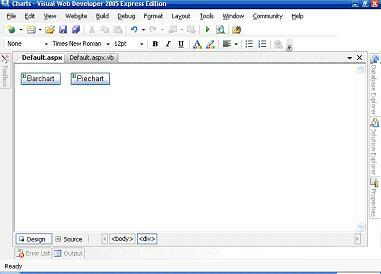 To make this possible, the latest rendition of Microsoft's Graphics Device Interface (GDI+) was brought on the market. In windows application, you would have output graphical contents to one of the windows. Whereas in ASP.NET, there are no window. Fortunately, there is a class that can act as the drawing surface and that is the Bitmap class. As any drawing surface has a width and a height, so does the Bitmap object. So, when we will create a Bitmap object, we will pass in a width and a height as parameters in the constructors. Moreover, we have to specify “Pixel Format Argument” which means whether the pixel format should be 24-bits RGB color, 32-bits RGB color, GDI-colors etc.. In short the following code will do the work. Once you have created the Bitmap object, you need to obtain a Graphics object that references that Bitmap object. The following code will do the job.
' Get the graphics context for the bitmap. 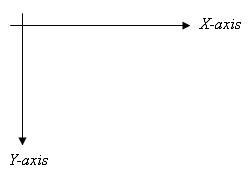 The x vs. y coordinates system is illustrated in the figure below. Now that we have a set of drawing tools at our disposal, the graphics class also has a set of interesting methods to simplify our work for drawing objects like: circles, rectangles, text and the list goes on. For this tutorial, we will be using the following self explanatory methods. N.B. the above methods may be overloaded, so we used the names only. It is left to you as an option to explore how the overloaded methods differ. As the y-axis is reversed, some further calculations need to be done to place the bar charts on the bitmap object. We shall use one color representing each town.
' Create an in-memory bitmap where you will draw the image.
' The Bitmap is 300 pixels wide and 200 pixels high. 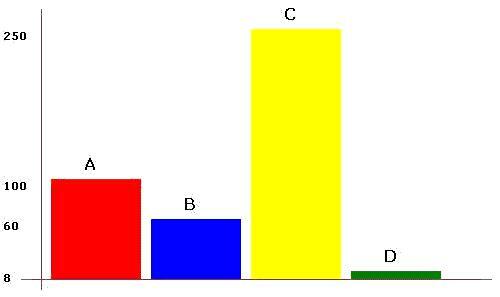 The bar charts have to be placed in a manner that we could draw the axes and label them as well. So, we declare an interval variable that will space the bar charts. The above code has only to be linked with the Click event of the â€œBarchartâ€ button that was placed ok the page before. We have to keep track of the total angle so far and add the current angle produced by population[i] and use the FillPie method to draw the piechart. The above code has to be linked with the â€œPiechartâ€ buttonâ€™s Click event. It is important to place all your codes in Try..Catch block as a good programming practice.
' Render the image to the HTML output stream. Remember that myImage is the Bitmap object that we created earlier. Et voila! Now, you can play around with the set of methods to produce other drawings or to improve the classes. You can also explore the rich set of methods and classes that the .NET framework provides us for producing drawings. Note that every new feature will take time. If your projects requirements demands a lot of working hours, you can consider some more professional solution, like ChartingControl.NET. This control will give you different chart types including 3D charts. However, every GDI+ solution will return you a static chart image. If you want to REALLY impress your clients or users you must have Rich Chart Server for .NET. On server side you work with ASP.NET control like with every other control, but it produces beautiful and interactive Flash charts on client side. It provides animations, links, interaction with clients and even audio narration. Check examples on chart gallery to see what I am talking about, it is simply amazing! Also, you can try other custom ASP.NET Chart Controls to find which is best choice for your specific case.